Join us as we look for owls, hawks, songbirds, waterfowl and other wildlife in the fields and along the shoreline around Pt. Peninsula in the Town of Lyme. Ontario Bays Initiative Land Steward, long-time birder and nature photographer, Lee Ellsworth along with land trust staff will guide the group for this outing. We will gather at the Chaumont state boat launch, 11152 Barnes Bay Road, Chaumont, NY. Participants will be traveling around the Point, stopping as needed to observe wildlife, both in and out of vehicles. 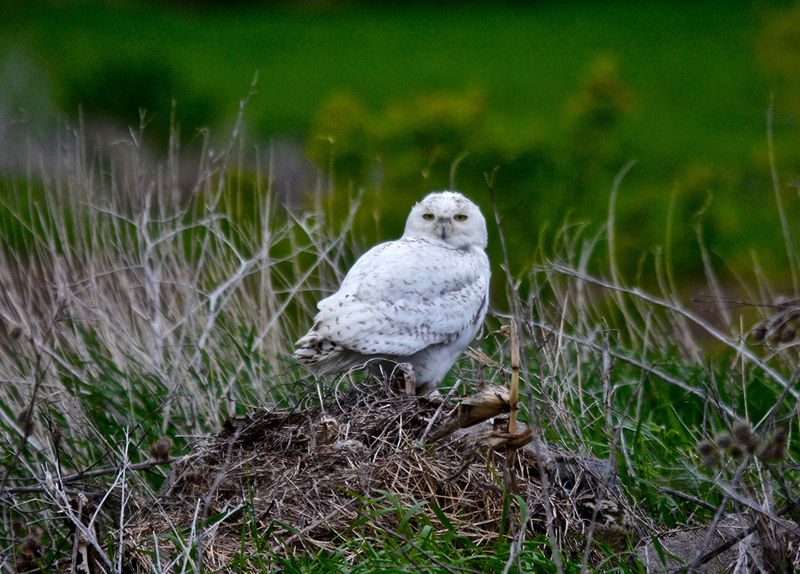 Birds observed may include Snowy Owls, Red-tailed and Rough-legged Hawks, Northern Shrikes, American Kestrels, Bald Eagles, Snow Buntings and more. The shoreline provides prime winter habitat for swans and a variety of waterfowl as well. Bring your field guide and binoculars. Restrooms will be available before we head out and upon return to our gathering location, but there are no rest stops along the route. Participants may choose to have lunch together at the Blue Heron restaurant at the trip’s conclusion.